We all know the difficulty that appears while we design a UI for our website. 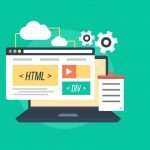 There are many methods to make our website look good. They all have their own properties. However, once we fail to code a good UI for our website, the interest to design the UI of the website disappears automatically. 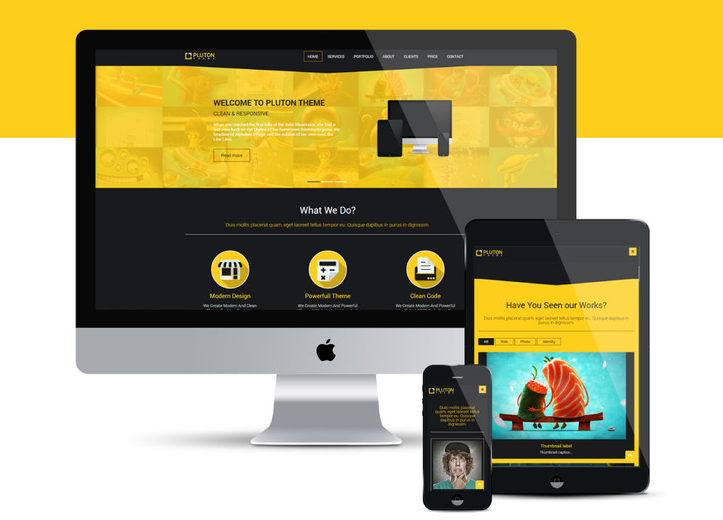 Therefore, here we present Free Responsive Mobile Website Templates. These beautiful templates are responsive, meaning that, we can get the same design and same UI for all the devices from which we browse our website. The devices can be Mobile Phone, PC or may be tablet. Therefore, the output we get on all the devices is same. We have many options for the use of template. They can be about anything. Varieties of templates are available to us in internet. We can download them and simply code in it changing the contents of the default template. For each category, we can get templates. For example: Templates for Hospitals, Colleges, Department Store and other fields are available and for each category, there are number of options available to us from which we can select the best from our side. 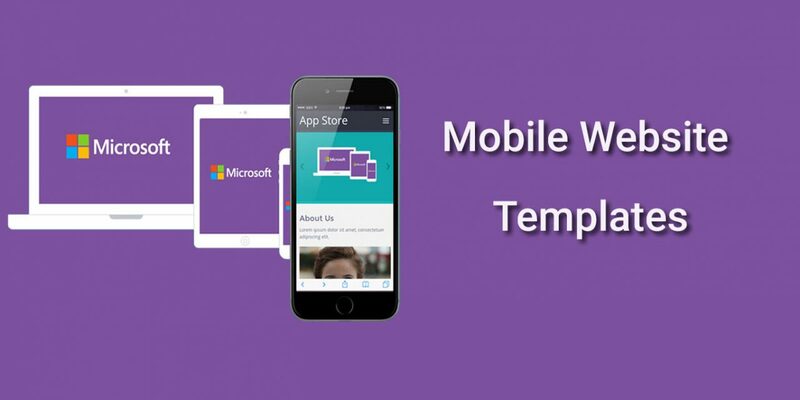 Here is the list of some Free Responsive Mobile Website Templates that we can download and embed in our website easily. This is a beautiful template to download from the internet. It is one page template. That means, we can have a look towards all the contents of the website in one page. We can simply scroll down the mouse and can reach to the end of the page. The alternative way to direct visit desired page is to click on the navigation menu bar located at the right top side of the home page. We can edit this website in our own way and can use this as the template for our websites. It is free to use and to edit the code of this templates is also easy. Here CA simply refers to Colorlib App. The designer of this template is CA. It provides us the set of elements from its template. With the use of beautiful colors and the matching contrast, this is one of the best templates to download. It is also one page template like the previous one however, we can jump to any of the page directly from the navigation menu available in the top right side of the homepage. We can edit the contents of this website and can simply make it ours. Here is the link to get the demo of the page and to download the template directly. As from the name, we can guess the category of the template. It is best suitable for app store websites from where we provide different apps for the users. With its beautiful and simple UI, this template is one of the mostly downloaded templates today. People like such type of templates with simple color and simple animations. However, sometimes it can be opposite too. This type of template takes less time to load since there is less number of animations. But, even though it has less animations, it is not less from others in its beauty. The designer of this template is W3layouts and team. This is the default template for bakery hotel. 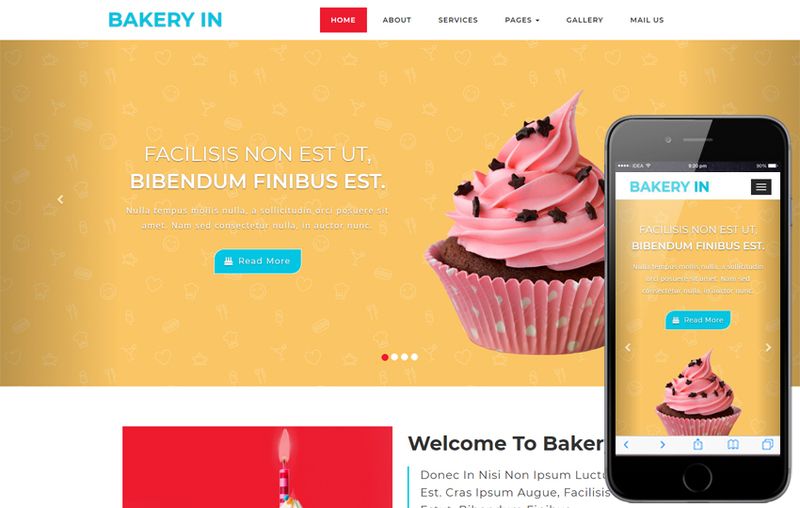 If one owns a bakery hotel, s/he can simply use this template for their websites with some minor modification. It is multi page template. That means, we must click on different menus to visit those pages from websites. This template is different from other discussed so far. However, only the difference of page is found in this website. Otherwise, it is not less than other website template in terms of its beauty and attractiveness. It has 6 menus by default but we can change them by increasing or decreasing the number of other options for the menu. It is a simple and clean HTML website template. With the less number of animations and simple looks, this website template looks descent from it looks. This type of website takes less time to load and runs smoothly once they are loaded. It also occupies small space and if we test the speed of the website that we make from this template, it will also be very fast. This website is designed by design hooks and it has a beautiful design on it. Below here is the link for the home page of the template and we can see the brief details of the template from this link down below. 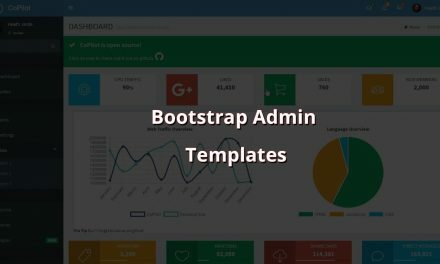 It is an website template that uses Bootstrap for its design. It is an one page template and we can get through all the contents from the single page only. Beautiful designs and UI makes this template one of the best templates to download. 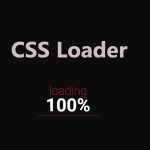 It has its own features and even if there are huge animations in this website template, it loads faster in comparison to other templates. The navigation menu has beautiful theme and the color contrast of the other contents of the website looks fabulous in itself. Down here is the link to see the demo of the template and to download the template for free. 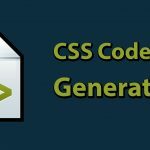 It is a HTML5/ CSS 3 web site. Sublime is a multi page website and we must go through all the menu elements to get the contents of the page. It looks simple and beautiful. In every page, it has less content by default. For all the pages from the navigation bar, the theme and the background are same and because of it, it looks very usual. Similar templates are also available in pixelhint.com. we can see the demo and the download path for this website from the link below. We can also have a brief knowledge of the developer from the same link. Maze is another website template that is a single page template. We can get all the contents from the single page. As we scroll down the home page or index page, we can get to access all the contents of the website template. We can edit this template and can change it in our own way to make it look more better than now. By default, this website template is suitable for the online cloth store but we can change it in any way as per our need. From the link below, we can watch the demo of the template and can download the template for free. There are two links for separate pages. This is another product of W3Layouts. This is a simple yet so unique website template. By its name, we can guess the main unique feature of the template. This website template displays a mobile phone in its home page and all the contents are shown in the mobile phone from which we must perform all the operation. Meaning that, we have to click on the buttons inside the mobile phone just as we click in our mobile phone. On clicking the buttons, we can see the contents, or whatever we want to see is displayed in the screen of the mobile phone. Therefore, it is unique than the others we discussed so far. This is an website template designed for the android and iOS app that is Capture. We can download the app and use it in our mobile phones. This is an one page template and we have to scroll down from the home page to access all the contents of the website. 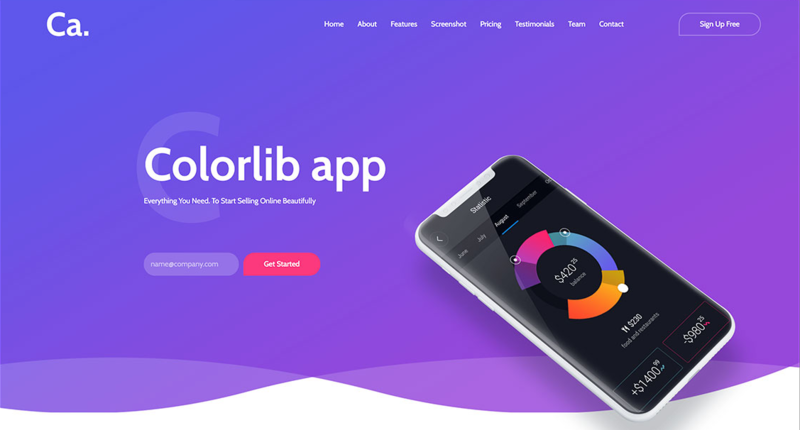 It uses beautiful color combination for its UI and we can also see the silent animations going on in the website template that is made using bootstrap. This type of templates looks beautiful and attracts the viewers too. For the demo and the download link of the template, we can click on the link below and get some information regarding the developer’s hard work. Runkeeper is an app for mobile phones that tracks and keeps the information about different health elements. 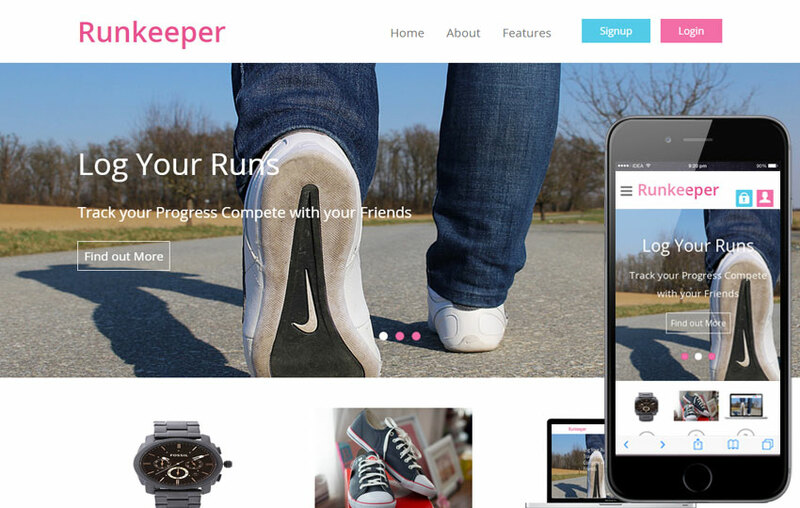 This website template is about the same app Runkeeper. It is a multi page template and we have to click on different menus to visit them. The template looks simple and beautiful with its less color use in the website. We can see slider in the home page of the template that displays the same image but the text on it is different. The designer of this website is also W3Layouts. From the link down below, we can have a look towards the demo of the template and we can also download it for free from another link below. It is one of the best single page website template we can find so far. It has beautiful animations on it and the best part is the effect we see when we scroll down the page. This type of templates takes slightly more time to load than the other similar websites. The designer or creator of this website is Visual Soldiers and this is their one of the most beautiful product. This website template can be used mainly for advertisements of some products. To find more info about the template and to download it for free, we can visit the link below. This is another product of the W3Layouts. This website is best for displaying the CV of someone. That means, this can be considered as the modern or best method to show our CV in the companied that asks us the CV. 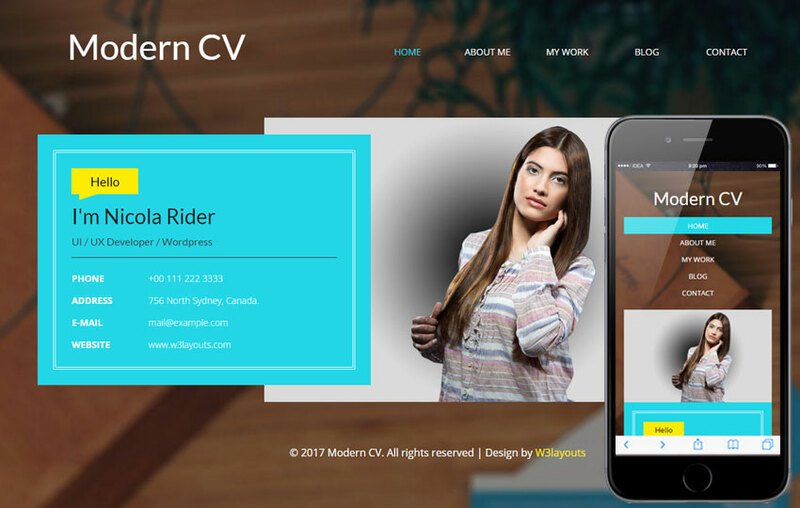 It is a multi page website template and the home page contains the short description of the person whose CV is shown. The other menu on the top right side shows different characteristics of the person in the CV. It shows the pages like About me, My Work, Blog and Contact page as a separate page that we can access. The menu may vary as per the experience or choice of the person in the CV. 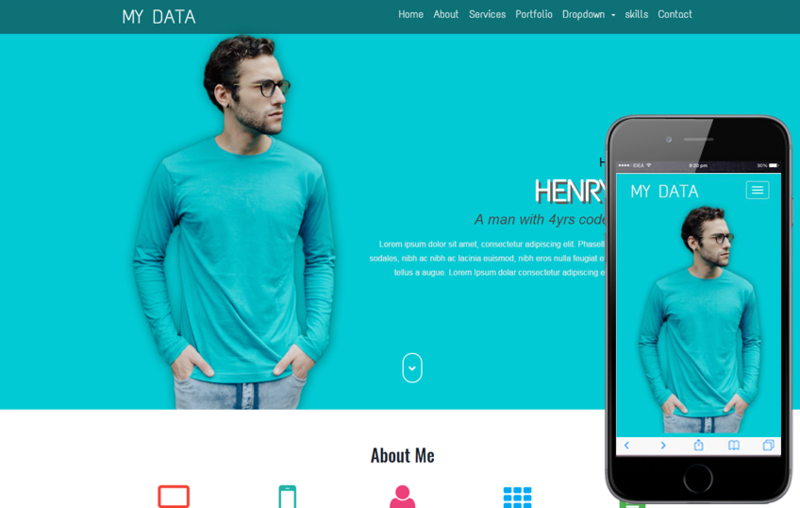 This website template is useful for personal websites. 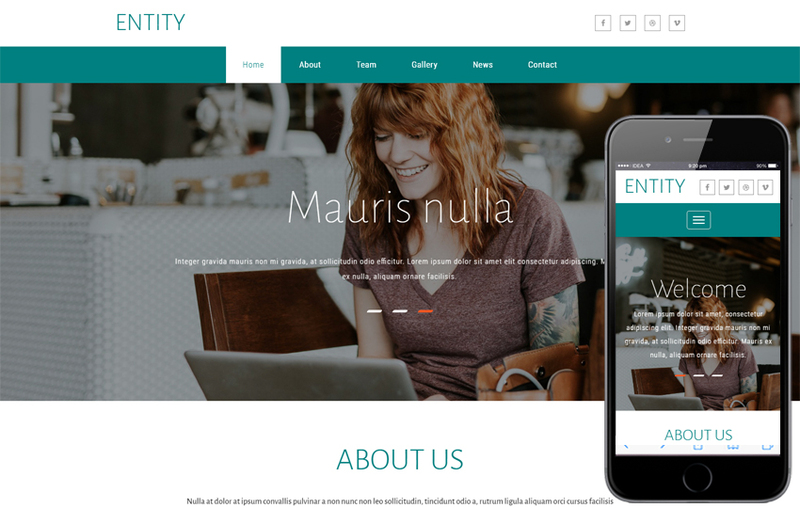 That means, when we have to show our introduction or personal details to other, we can use this website template. 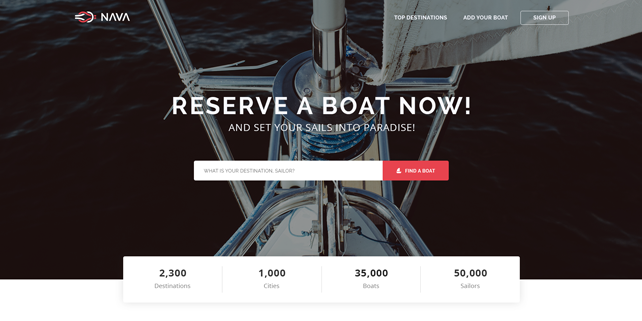 It has a beautiful layouts and UI that uses many colors with matching contrasts and uses the varieties of animation for the making of the website template. It is also a single page website template and we can scroll down the home page of the website to access all the contents of the website. The link below shows the demo and from the same link given below, we can download the template for free and use it for our website. 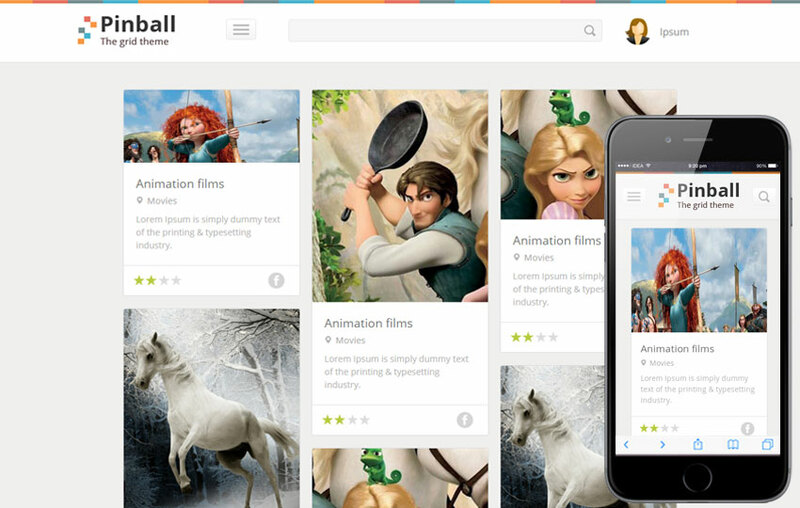 We can rarely find a single page website template with this much of animations and colors. This is one of the most rare templates we can ever find on the internet. It has many elements like Animation, Slider, Image Zoom Plugin and many other materials that we rarely use in a website template. It also displays the text as we hover on the images. This is a mind-blowing website template and when we edit such templates, it just becomes disaster. Disaster in a sense that, it will look more beautiful. So, I personally suggest this website as one of the best website template. This is another product of colorlib.com. It has a beautiful display image when the page loads. It is also a single page website template that displays us all the contents of the website in a same page. Boxus has a unique design for the title as we scroll down the home page. Use of different color is done in this template but also it looks pleasant. The contents of the template however is larger than other normal templates. With the use of such large data, there may occur a problem while loading a website made from this template. So, we must reduce some of the contents and make it like other normal templates. It is a one page or a single page template that displays the contents of the website in a single page. Very less number of designs is used in this template but also it looks no less than other templates. There are many images used in this template. As per the use of image, the memory size of the template must be large but it is of just some MBs. Meaning that, we can make our website using this template if we have to consider the memory size of the templates. Down here is the link for the demo and the download file of this template from where we can both view and download the template. Firstly, we must talk about the best thing, we notice first from the website that is the hidden menu in the home page. This is my personal favorite. Once we click on the icon on the left, we can see the menus sliding down the top of the page and the best thing is that we can again hide it to its original place. This is a multi page template and it supports as many pages as we want to keep on it. This is also the product of the W3Layouts. Here we can also see the picture of the person currently logged in into the website. This is also one of the cool features like we see in Gmail. From its name, we can guess the type of the templates. It is similar to the website template that we saw for the CV one. This website template is similar to that. Here also, we can upload our details, that means personal details regarding our education and skills. It is also a single page template where we can find all the details of the website in one page or single page by scrolling down the home page like we do in Facebook. It uses moderate amount of animations and very nice color contrast that makes this website template look fabulous. Anyone will prefer this website template over others to share their details via website. Hence, here we saw a lot of templates. 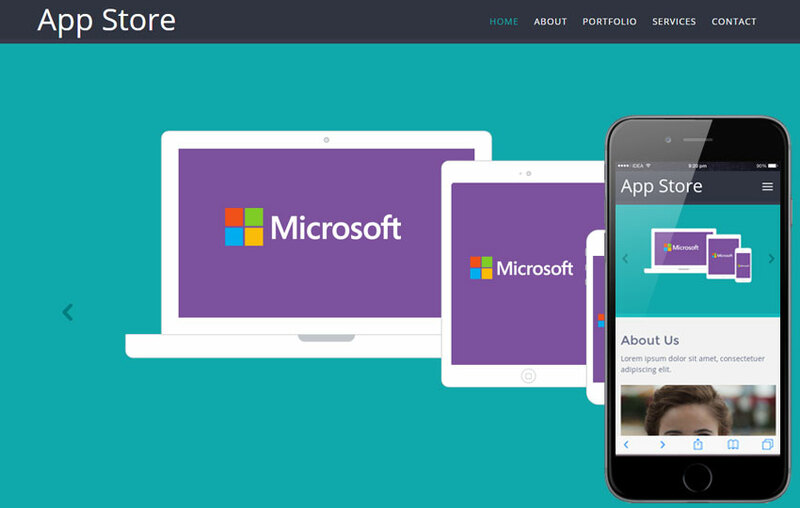 These Free Responsive Mobile Website Templates are just awesome. They are completely free to use and they have such type of features that makes the viewer love them. Best among them is difficult to select. In my opinion, all of them are best in their own ways. 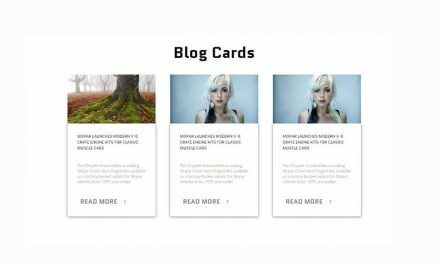 What I suggest the user of these website templates that choose them with the category. That means, we must choose them according to our requirement. As mentioned earlier, there are lots of categories for the templates. Therefore, here we discussed about the best templates of all time.